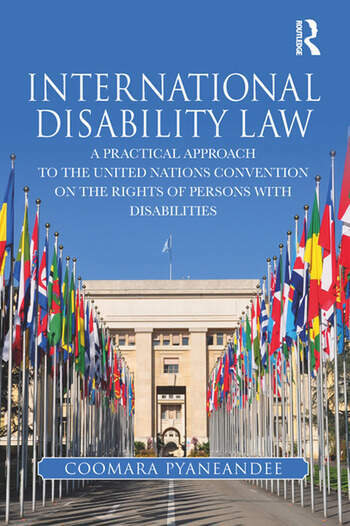 This book provides a concise guide to international disability law. It analyses the case law of the CRPD Committee and other international human rights treaty bodies, and provides commentaries on more than 50 leading cases. The author elaborates on the obligations of States Parties under the CRPD and other international treaties, while also spelling out the rights of persons with disabilities, and the different mechanisms that exist at both domestic and international levels for ensuring that those rights are respected, protected and promoted. The author also delineates the traditional differentiation between civil and political rights on the one hand, and economic, social and cultural rights on the other. He demonstrates, through analysis of the evolving case law, how the gap between these two sets of rights is gradually closing. The result is a powerful tool for political decisionmakers, academics, legal practitioners, law students, persons with disabilities and their representative organisations, human rights activists and general readers. Coomaravel Pyaneandee has been a practising barrister for 17 years and is the current Vice-Chairperson of the UN Committee on the Rights of Persons with Disabilities. He holds an LLB and an LLM in Public Law from the University of London. His main areas of practice include disability discrimination, protection of women and children from domestic violence and workers’ compensation.